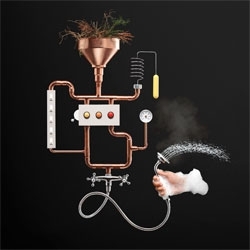 Carl Kleiner and prop builders Attributverket show us alternative ways of heating our homes in this series. 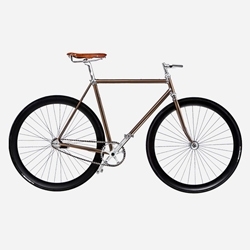 Italia Veloce – Parma’s deluxe bicycle shop. 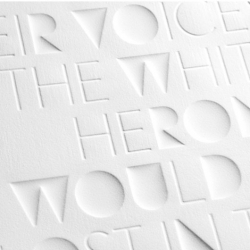 Haiku, a series of typographic experiments by Eli Kleppe. Berg is a piece of furniture for all of the clothing that gathers up in your living space. 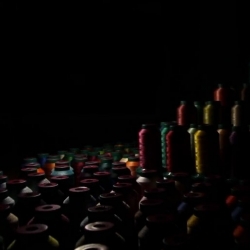 Create borders through your actions, throw your garments and build upon your own mountain of clothes. 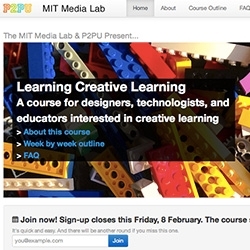 Learning Creative Learning - A course for designers, technologists, and educators interested in creative learning - new free online course from P2PU and MIT Media Lab! 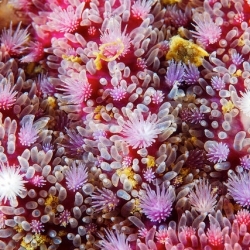 Alexander Semenov's great new photo series of closeups of starfish. 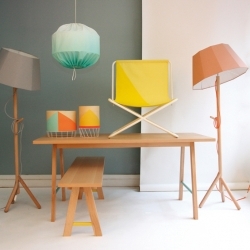 Beautiful new table from vipp! 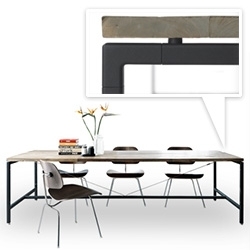 A table top made of untreated, recycled teak planks and powder coated aluminum frame. 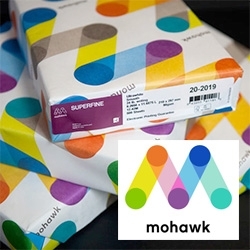 Mesmerized by the Mohawk re-brand and the variations of logos and the versatility of the patterns you can create. 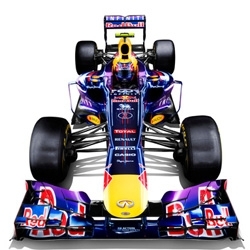 Redesign by Pentagram. VIDEOLovely music video for Black Books by Favorite Place. 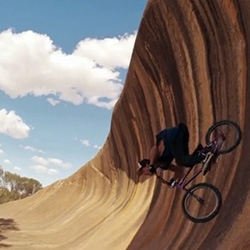 Directed, filmed, and produced by Christophe Thockle. 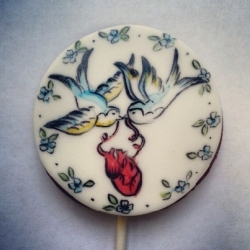 This cookie - featuring love birds carrying an anatomical heart - is just one of the things on offer at Throb. It's a pop up gift shop in London selling only products which feature anatomically correct hearts as part of their design. 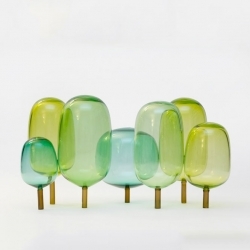 Andre Engesvik's hand blown glass tree make up his accessories, The Woods. 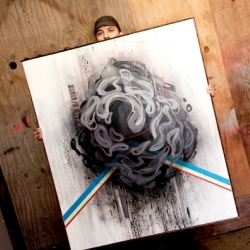 An exclusive interview and studio visit with San Francisco artist Eric Otto. 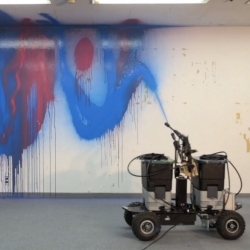 VIDEOTakahiro Yamaguchi and So Kanno's Senseless Robot #2, a water-powered graffiti-creating robot! 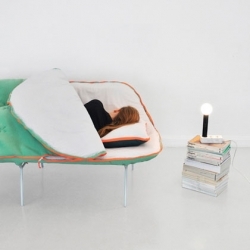 Stephanie Hornig's Camp Day Bed. 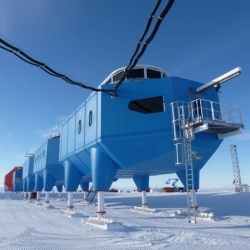 A look at the newly opened Halley VI Antarctic Research Station, designed by Hugh Broughton Architects. 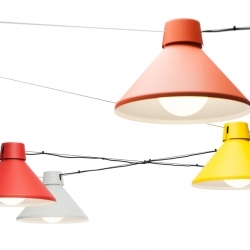 'Za-Za' small lamp by the French design studio 'Numero 111' for the Galerie Gosserez. 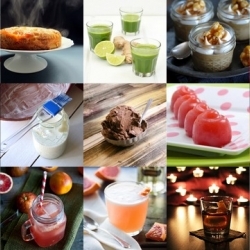 FEATUREDThis week’s roundup from Tasteologie and Liqurious includes Red Rover cocktails, microwave peanut butter fudge, making bacon and more. Nendo. 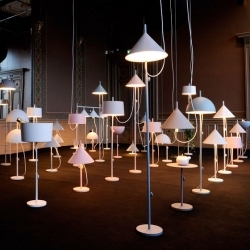 Illuminated for Wästberg at Stockholm Design Week. 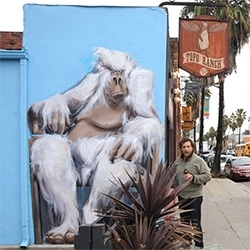 FEATUREDThe Gorillas of Isabelle Alford-Lago have been popping up all over Venice, CA and they are magnificent! DWR NYT Crossword! 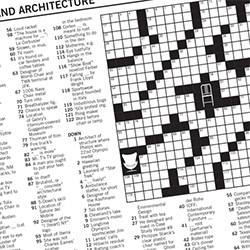 For lovers of Design, Architecture, and Crossword Puzzles! 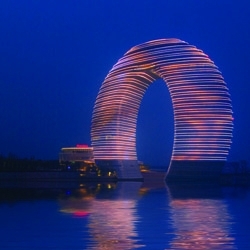 The cool new Sheraton Hushou Hot Spring Resort in China designed by MAD Architects. 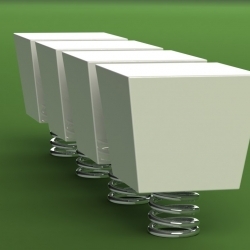 Jerry bench, designed as four individual gloss white seats on springs to make it more fun. 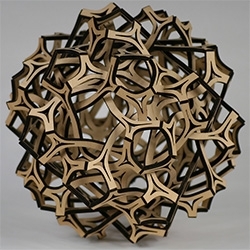 a collaboration between Oded Marcus and Shaul Cohen. 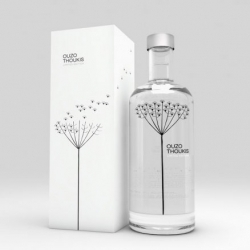 Packaging for Ouzo Thoukis, designed by Marios Karystios & George Tzavaras. 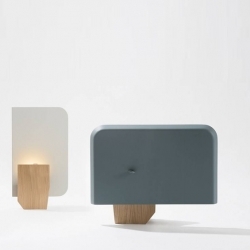 'Furniture collection' by the French designers Isabelle Gilles and Yann Poncelet for 'Colonel'. 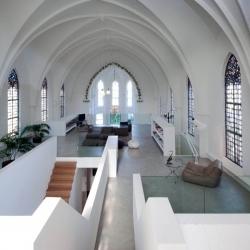 'Saint Jakobus Church' rehabilitation by the architects Zecc in Utrecht, Netherlands. 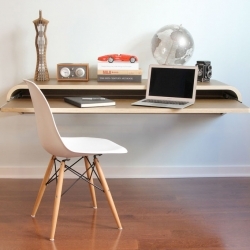 The Minimal Float Wall Desk designed by Dario Antonioni. 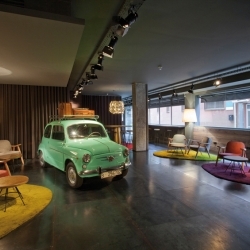 Barcelona-based design studio Lagranja redesigned the Chic & Basic Ramblas, eclectic hotel in the heart of Raval district in Barcelona. 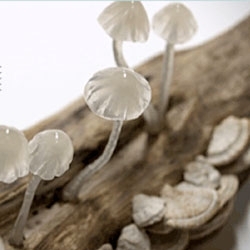 Yukio Takano of The Great Mushrooming's incredible mushroom shaped lamps. Taxi-dermy by Joe Jin. 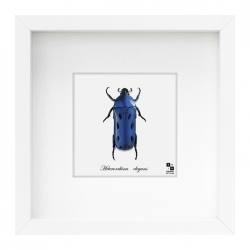 Aerial stock photos combine with lenticular lens printing to create artwork that appears as a taxidermy insect at first glance, then morphs into an automobile when viewed from different angles. 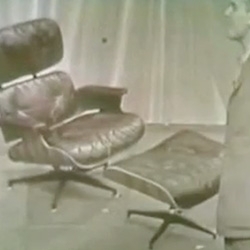 VIDEOCharles & Ray Eames show their then-new lounger on the Arlene Francis "Home" show broadcast on the NBC television network in 1956. 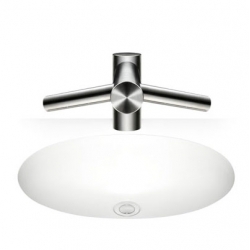 The Dyson Airblade Tap, bring airblade technology to a tap, meaning that hands can be dried at the sink in 14 seconds. 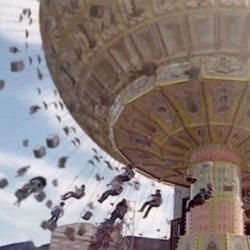 VIDEOThe Centrifuge Brain Project, a mockumentary from Till Nowak. 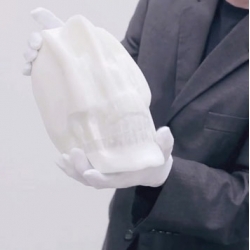 VIDEOPure White Paper by Li Hongbo, created from thousands of layers of paper. 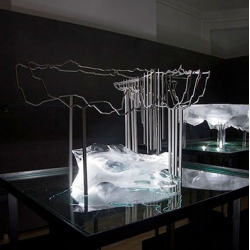 Scanlabs' Frozen Relic at the Architecture Association. 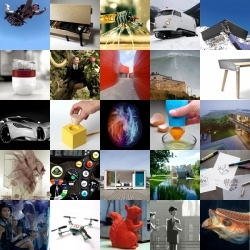 FEATUREDThis week’s roundup from NOTCOT.org includes folding bikes for paratroopers, the coffee machine museum, big wave surfing and more. 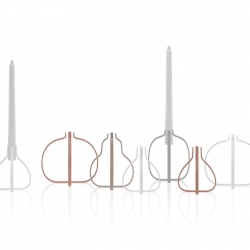 KLAFFI-hylly, individually folding shelves from ELSA. 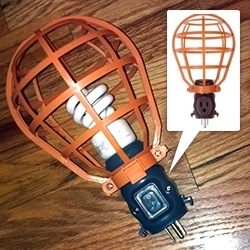 RIDGID 15 Amp Work Light Basket Guard with 1-Outlet - love the simplicity of this light you can plug in just about anywhere, has on off switch, and use it like an extension cord with the outlet. 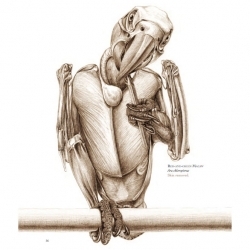 A look inside Katrina van Grouw's stunning The Unfeathered Bird: An Illustrated History of Avian Anatomy. 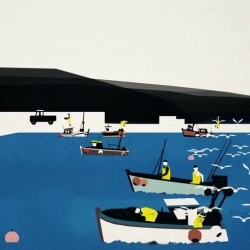 VIDEOBeautifully illustrated piece from This Is Studio commissioned by Greenpeace reveals the findings of its investigation into the practices of the National Federation of Fishermen's Organisations. 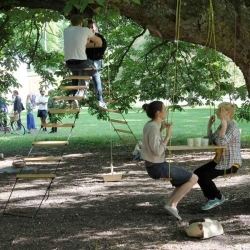 Byggstudio's, Trädkafé/The Tree Café, a touring mobile café designed for trees in Stockholm. 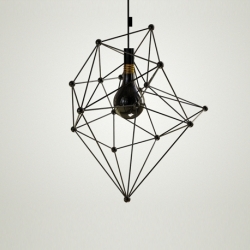 Industrial designer Diana Dumitrescu explores shapes and surfaces of the bulbs and fixtures in her new Black Light collection. 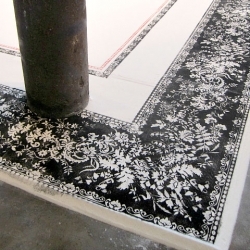 'Sugar Carpet:Tapis de Sucre' by Aude Moreau, Montreal-based artist, using two tons of refined sugar.